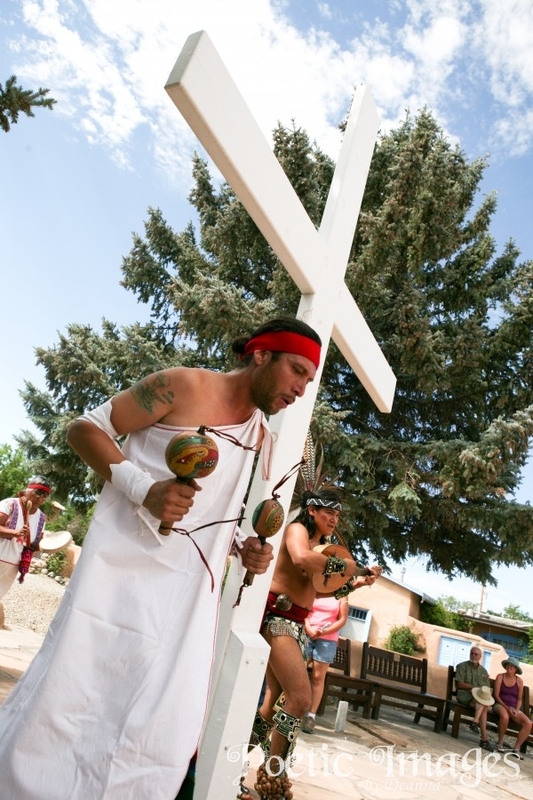 The Taos Vacation Guide describes Las Fiestas de Taos as a “time-honored festival preserving four centuries of cultural diversity and tradition unique to Taos.” Las Fiestas began in Taos in the 1930’s and always takes place at the end of July to observe the feast days of Santiago and Santa Ana (St. James and St. Anne). 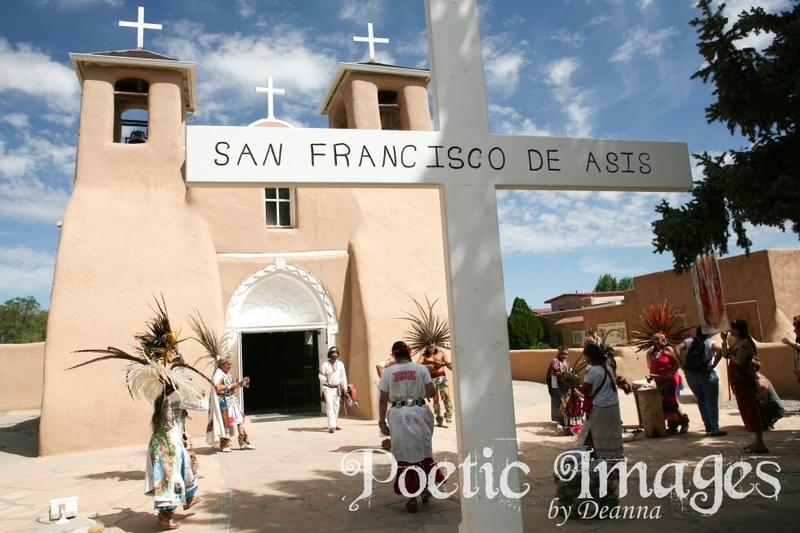 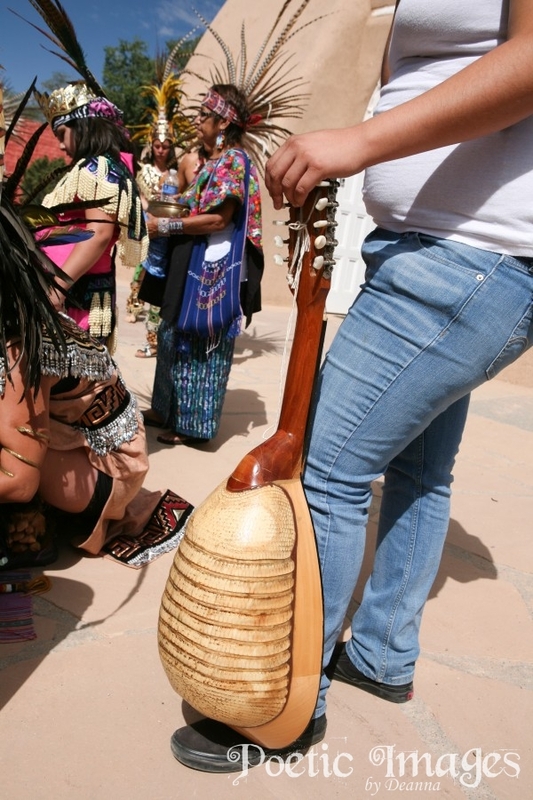 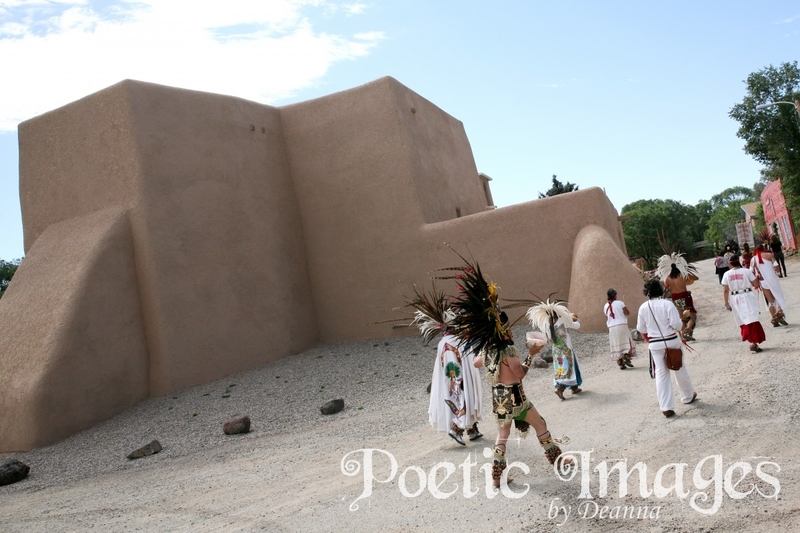 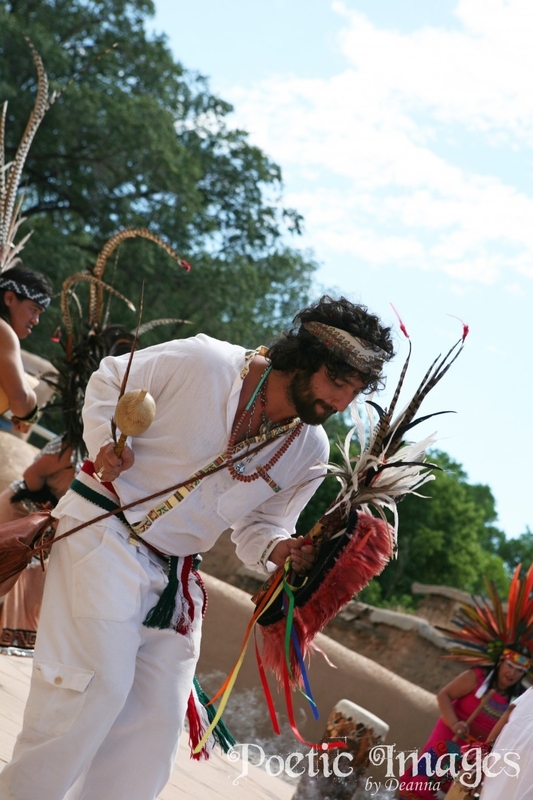 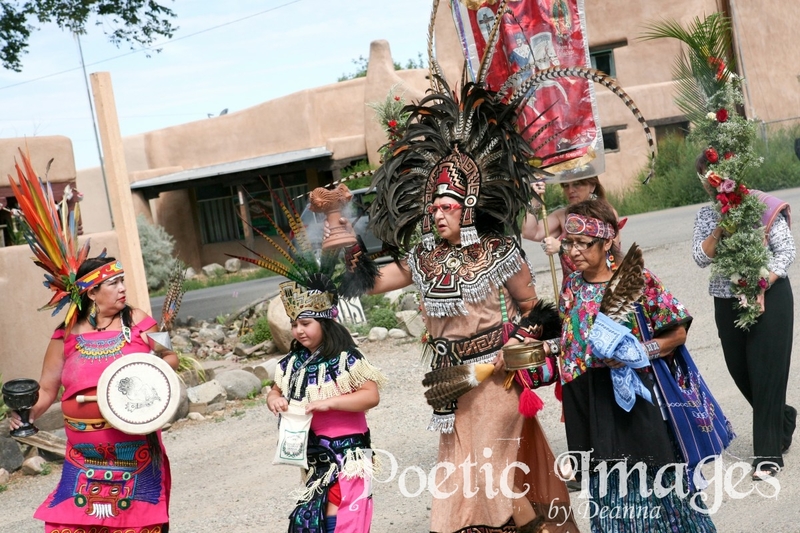 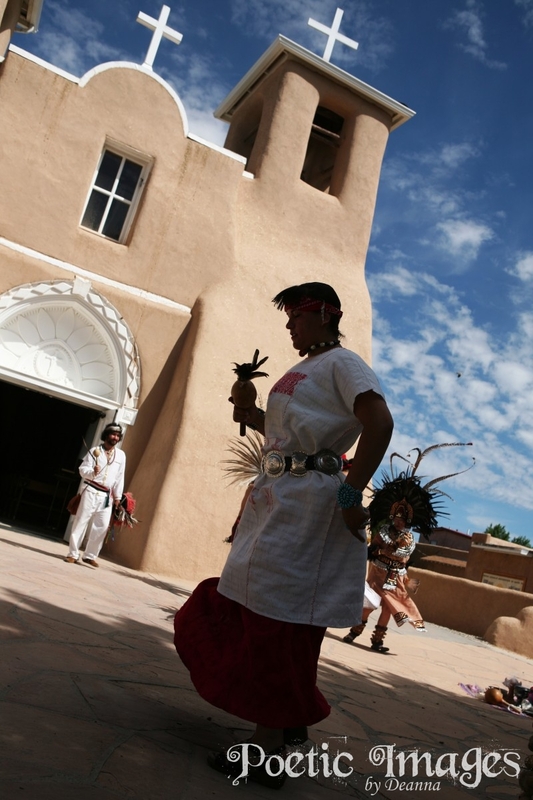 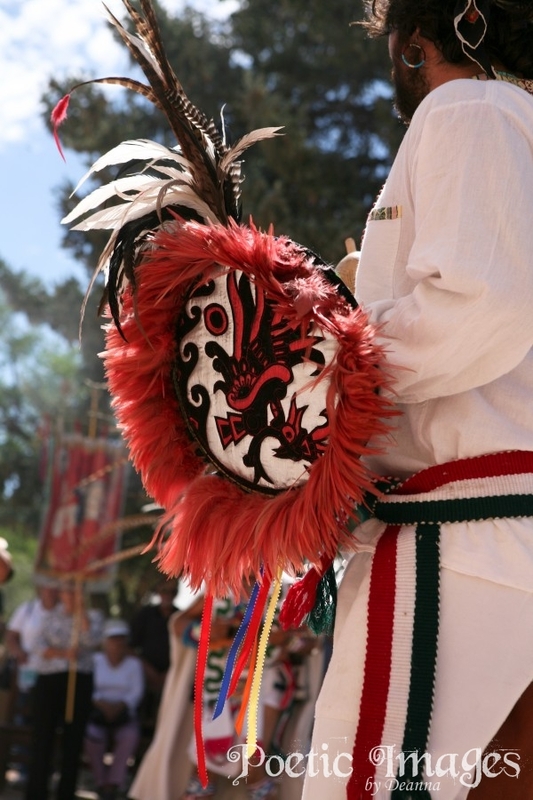 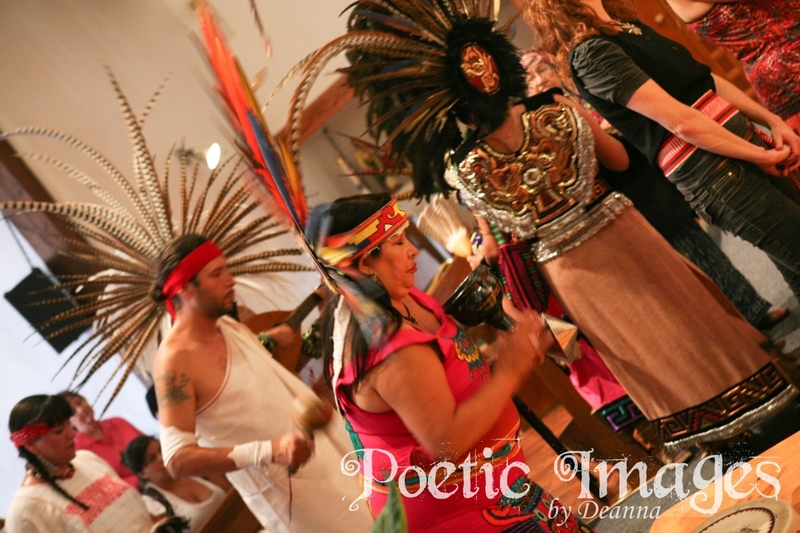 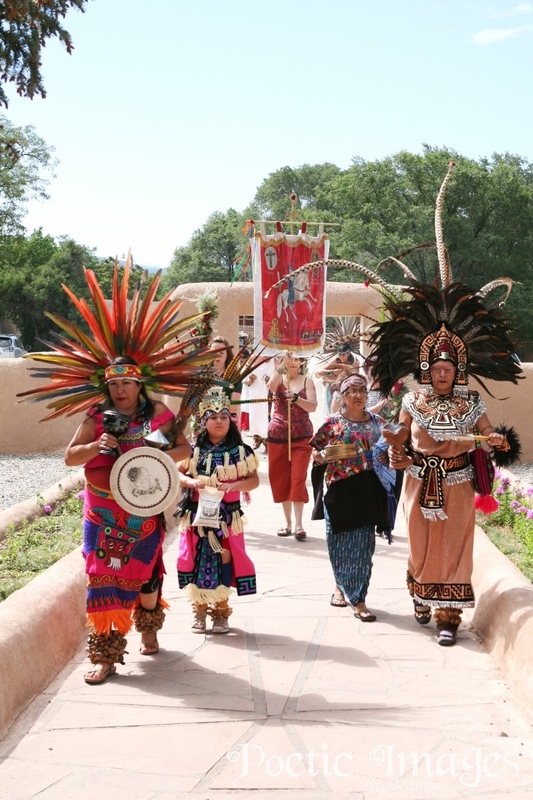 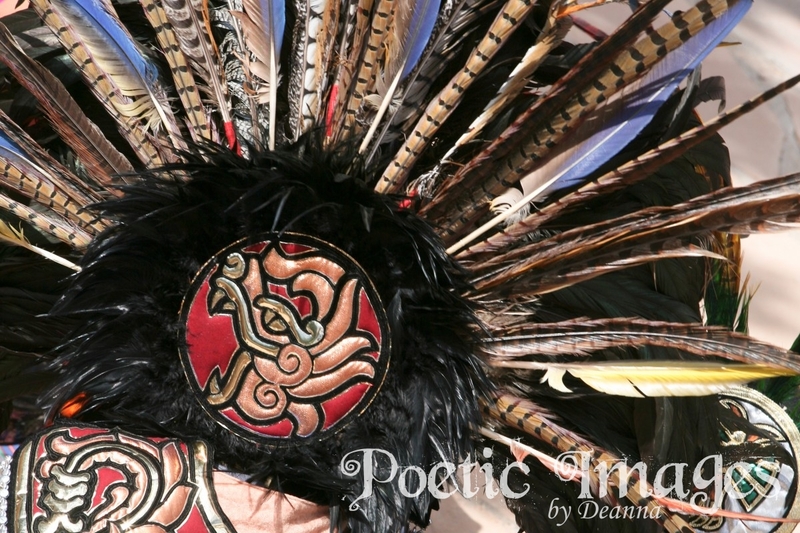 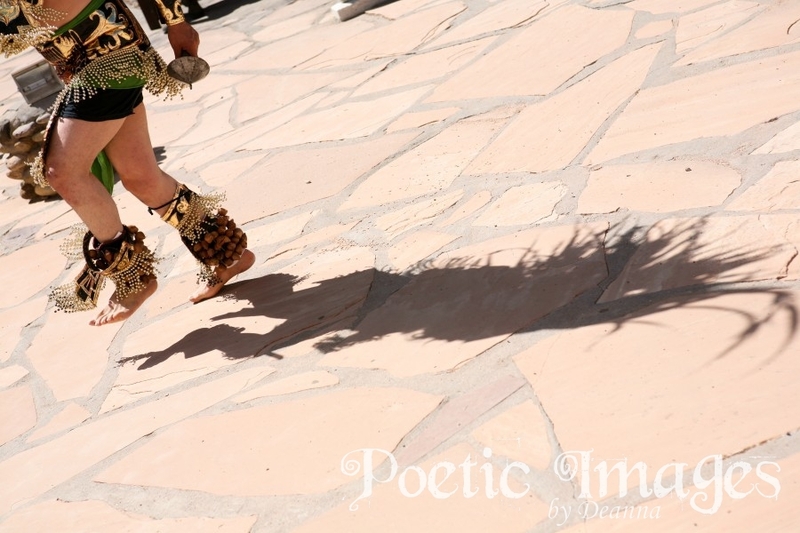 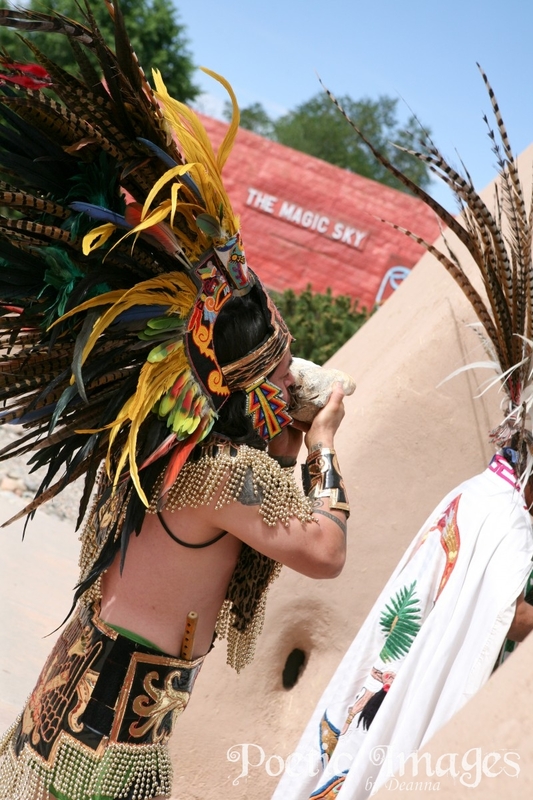 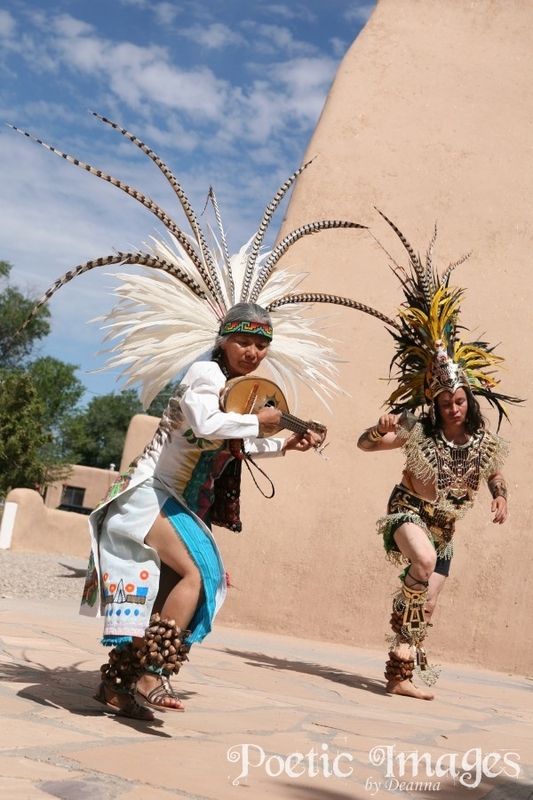 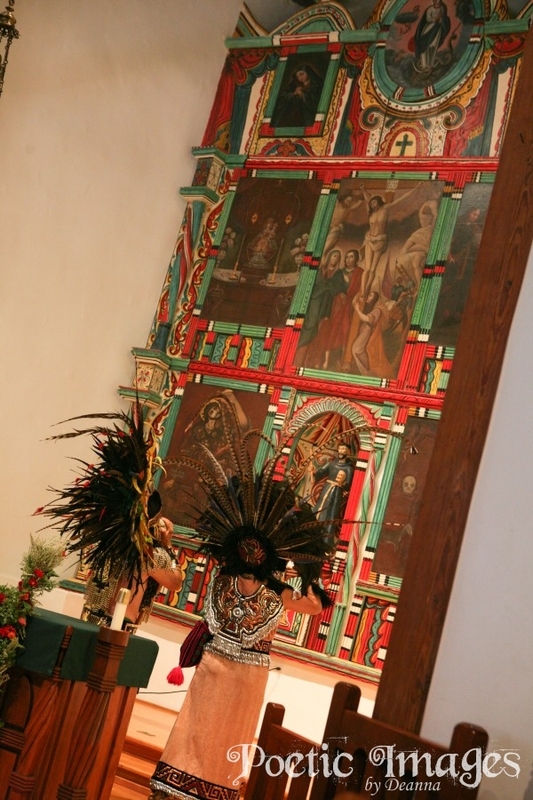 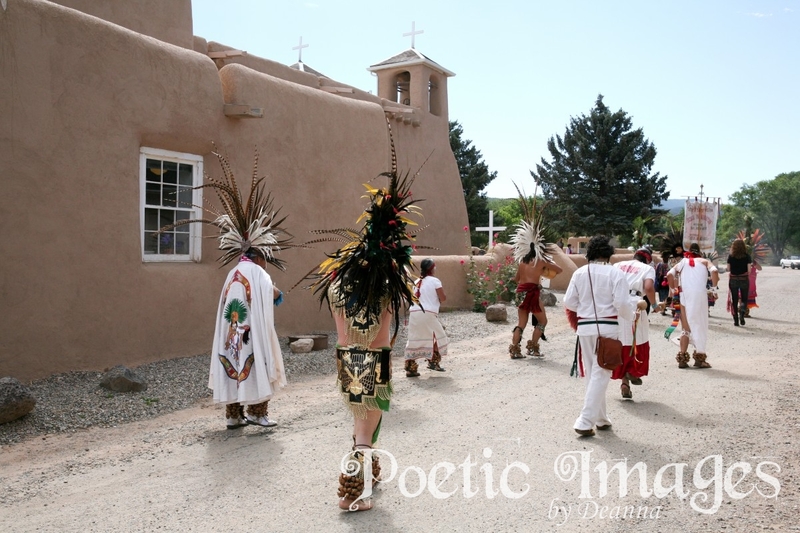 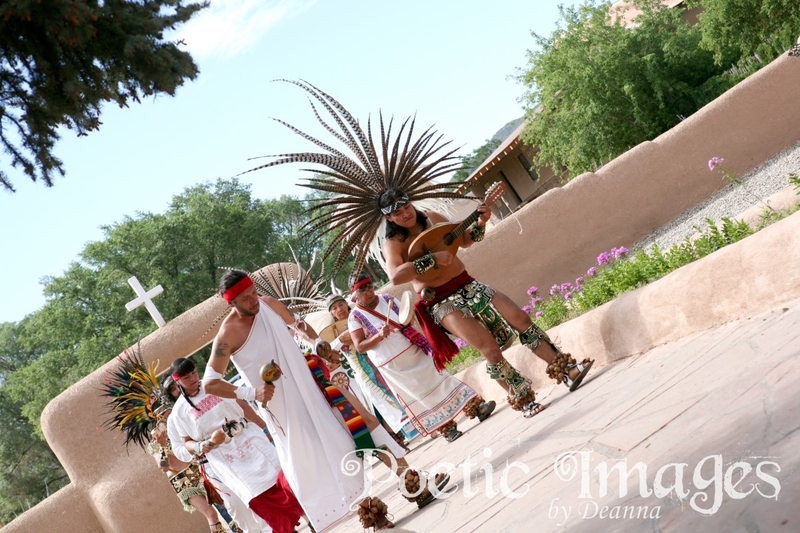 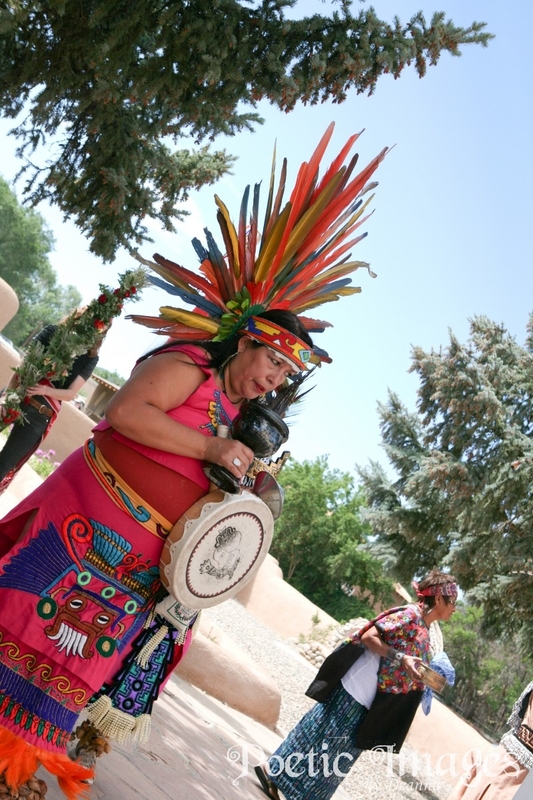 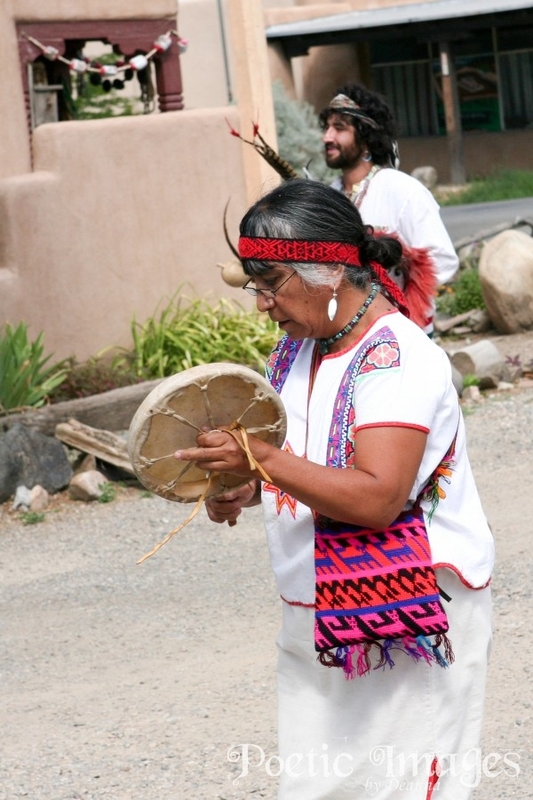 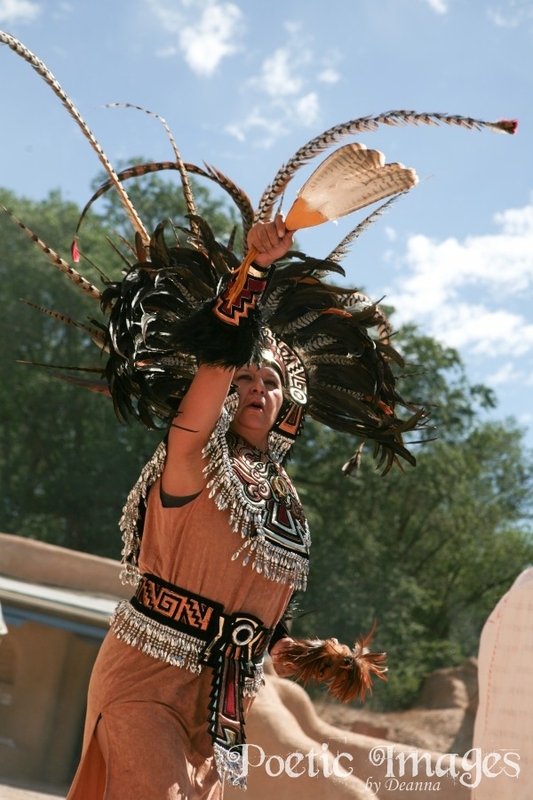 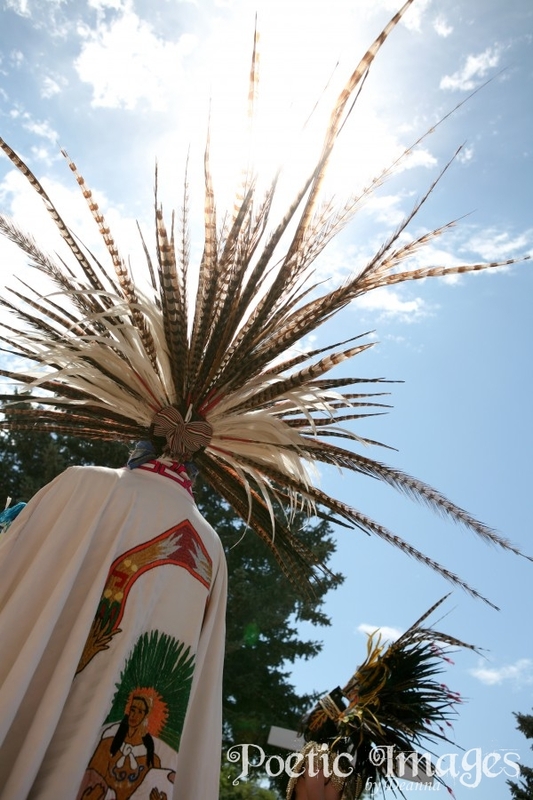 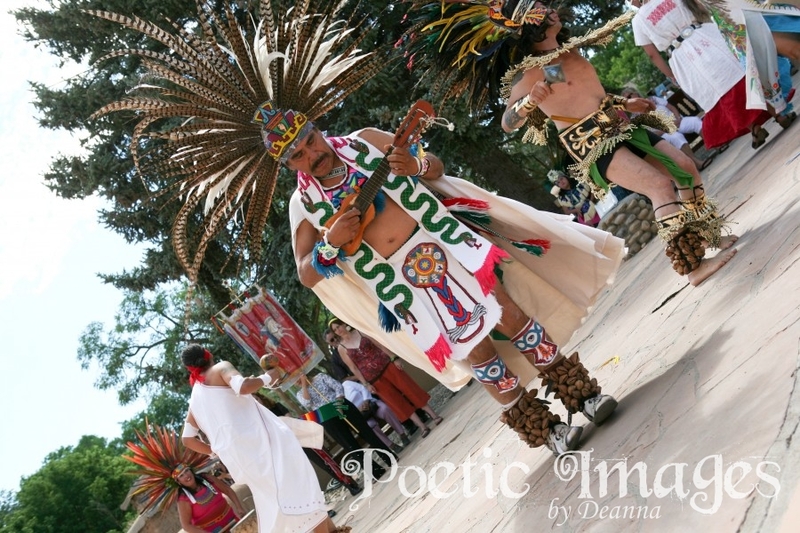 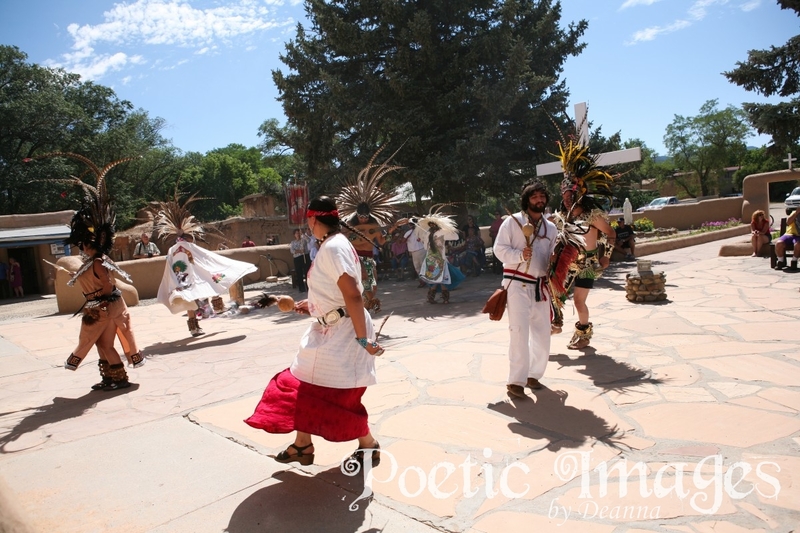 In my opinion, the best “Fiestas” event in 2011 was the procession, blessing, and dancing of the the Aztec dancers at the San Francisco de Asis (St. Francis) Cathedral in Los Ranchos de Taos. 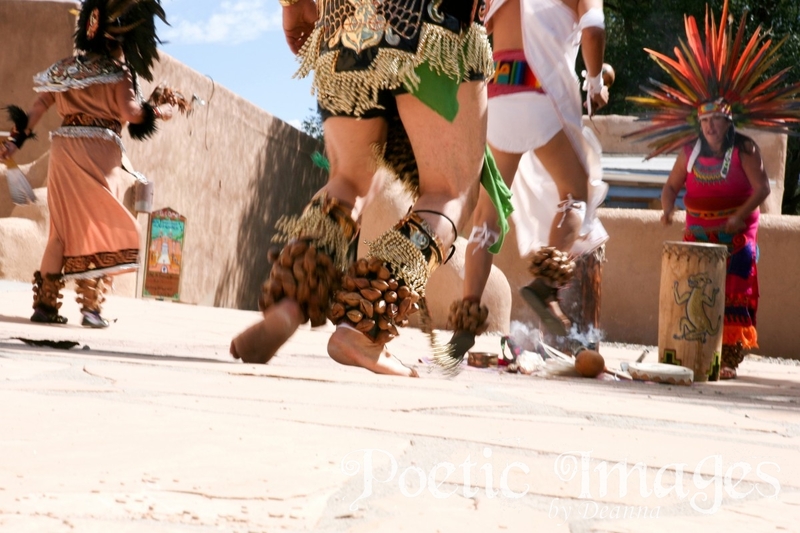 I love the photos, however I do wish you could smell the cedar and feel the high energy and incredible rhythm of these dancers in perfect sync.